High blood pressure is a common condition that affects more than a quarter of all adults at some point in their lifetime. The condition, which is also known as hypertension, could be caused by eating an unhealthy diet, or by not doing enough exercise. 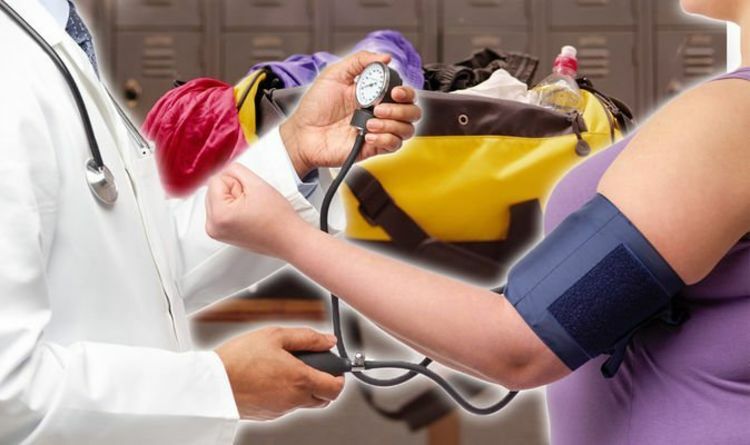 Having high blood pressure puts extra stress on your vital organs, which could ultimately lead to some deadly complications – including heart attacks or strokes. But you could lower your risk of hypertension by regularly doing exercise. These are the best exercise to avoid the condition. Cycling, swimming, tennis and jogging could all help to lower your blood pressure, according to charity Blood Pressure UK. They’re all types of aerobic activity, which use all of the large muscles group in the body, and focus on the heart and blood vessels. They also won’t raise your blood pressure quickly over a short space of time, unlike some other types of exercise, it said. “Different kinds of exercise and activity have different effects on your body,” said Blood Pressure UK. “If you have high blood pressure, you should try to focus on activities that will help your heart and blood vessels. Aerobic activity is the type that helps your heart the most. “Aerobic activities are repetitive and rhythmic movements (exercises), and they use the large muscle groups of your body, such as those in your legs, shoulders and arms. “Other forms of activity are less helpful. For example, you should not do any exercise that is very intensive for short periods of time, such as sprinting or weightlifting. Some exercises are so intense that you’ll need permission from your doctor if you have high blood pressure. Speak to a doctor before you go scuba diving or parachuting, said the charity. It’s also important to make sure you do enough exercise. Everyone should aim to do at least 150 minutes of moderate-intensity activity every day. You could also lower your risk of high blood pressure by eating an unhealthy diet, said the NHS. It’s crucial to limit the amount of salt in your diet, because salt raises blood pressure. Everyone should aim to eat less than 6g of salt in a single day, which is the equivalent to about a teaspoonful. High blood pressure is often known as ‘the silent killer’, because symptoms only develop if you have extremely high blood pressure. Common high blood pressure symptoms include a pounding in the chest, severe headaches, and blurred vision. Speak to a doctor or pharmacist to check your blood pressure. Everyone over 40 years old should check their blood pressure at least once every five years.